Our floors will be amazing, I’m grateful to say. Cork flooring is soft to walk on, a good temperature insulator, absorbs sound and is quiet, doesn’t get cold on bare feet, and it’s eco-friendly because cork can be harvested without harming the tree. Our chosen variety of cork flooring comes in planks that click together in a “floating floor” style rather than being glued down. It’s low-VOC (the infill is of a much higher quality, made with no-VOC resins and is highly durable, compared with standard hardware-store cork floor offerings) and our selection is highly water resistant, making it good for bathrooms, kitchens, and anywhere else in the home. 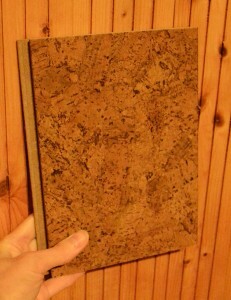 It does not need to be refinished because of its unique design among cork flooring manufacturers. It can be vacuumed and damp mopped without worry. 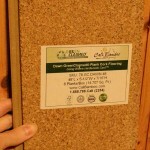 We are planning to install “Dawn” GreenClaimed Cork Flooring by CaliBamboo.com for $4.99/square foot ($3,300 for the entire house). It comes with only a 15-yr warranty, but it’s “install and forget” (no refinishing, excellent eco cred, durable, 100% water proof). Shipping is expensive: $300 – $400 to get ‘er here to Arkansas. Our local hardware stores’ cork flooring products did not seem nearly as environmentally sound or waterproof. 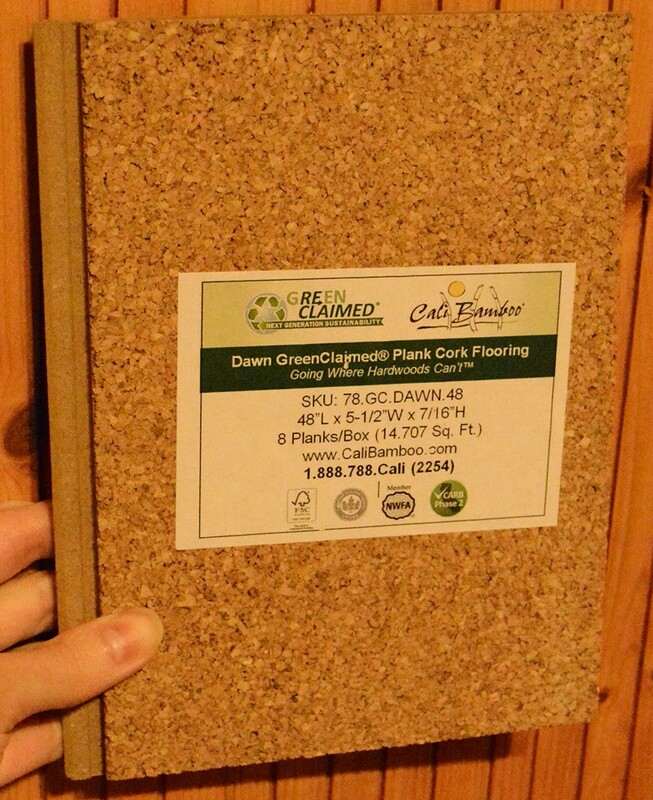 Thinking of installing cork floors in your home? Check out “Everything You Ever Wanted to Know About Cork” at This Sorta Old Life.